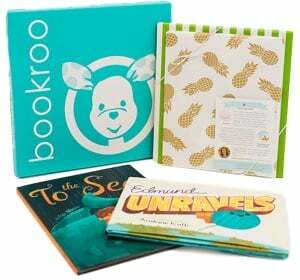 Alphabet books are an institution in the world of children's books, particularly in the board book realm. While no one probably wants to own a million alphabet books, whether you're starting the process early of familiarizing babies with the idea of letters, helping your preschool prepare for kindergarten, or reinforcing what your elementary school child already knows (everyone likes a little confidence boost! ), it does help to own a couple. Here are some options that we think are a cut above the average "A is for Apple" variation. I've loved every Mrs Peanuckle book I've read thus far—informative, engaging, and so gorgeously unique. My son adores fruit above all else, so this is our family's current favorite of the series—it has the perfect mix of fruits he can recognize (peaches & pears, bananas, watermelons) and fun new fruit facts to learn (who knew xigua was Chinese watermelon?!) Also, bonus points for being an excellent "accordian read"—if my son starts to lose interest I just skip the facts and only read the fruit names—and for being intellectually stimulating for adults too. This is truly an amazing alphabet book! I initially hated this book and thought the illustrations were so dumb, but my husband loved it right from the start, and after reading it a few more times I hopped on the bandwagon. Each fingerprint included in the illustration is raised so you can feel the ridges in the fingerprint, which is fun, and the cadence of the book in fantastic for reading aloud. Beautiful alphabet book with sounds from animals! The illustrations in this book are so fun, and there are so many different animals to point out throughout the book. This book is ALL about the illustrations, and boy, are they gorgeous. You don't even have to "read" this one to get everything there is out of it, so as long as little hands won't tear the picture book pages, they can have them full experience all by themselves. Worth noting that it is purely a single letter and then an image of an animal on each spread—no words (although luckily what each picture is is identified on the last page since I could NOT figure out what animal went with the letter N...Nyala).